Nepal plane crash occurred near the gateway to Mount Everest when the plane skidded off the runway, hitting the helicopter of Manang Air. 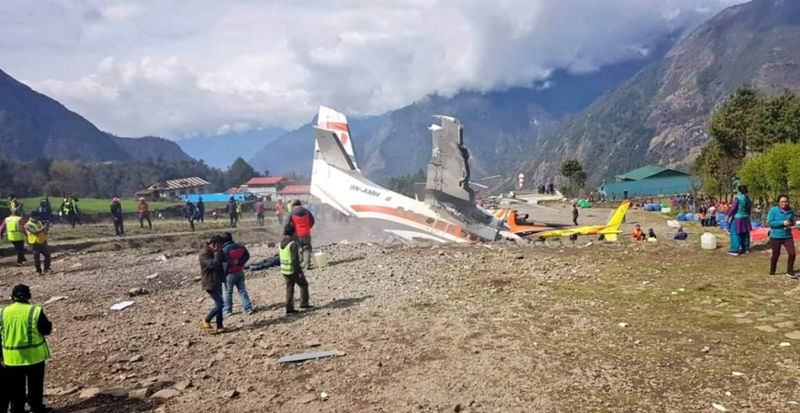 At least three people were killed and four others injured on Sunday, April 14, after a Summit Air plane crashed into a parked chopper during takeoff at the Tenzing–Hillary airport, also known as Lukla airport in Khumbu region of eastern Nepal's Solukhumbu district. 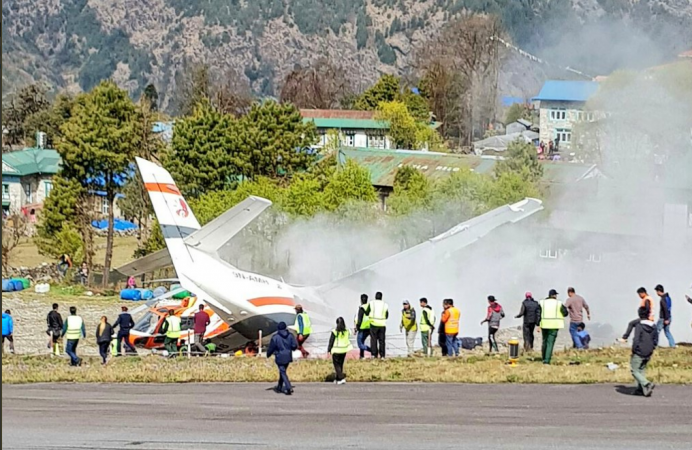 The incident occurred near the gateway to Mount Everest when the plane skidded off the runway, hitting the helicopter of Manang AirSummit Air crash. Both are private airline firms that cater to tourists and Nepalese in the country's remote areas. The injured were airlifted to Kathmandu by helicopter, Nepal police spokesman Uttam Raj Subedi said. He said that police teams reached the scene of the crash and were coordinating efforts to avoid fire at the airport. The dead included a pilot of the plane and two police officers who were near the parked helicopter. A civil administrator, Narendra Kumar Lama, said the four passengers and a flight attendant on the plane were safe. The authorities suspended services at Tenzing Hillary Airport following the crash. Tenzing-Hillary airport is often referred to as the world's most dangerous airport because of the short runway and difficult approach. It is also popular as Lukla is the place where most people begin to climb the Mount Everest Base Camp. It's open only to helicopters and small fixed-wing aircraft. It sits at an elevation of 9,334 feet (2,845 meters).